Initially an IT consulting firm in the 1990s, The Omni Group now exclusively creates and develops project planning software and design applications for Apple products that run on Mac OS X and iOS. This small, employee-owned company, based in Seattle, Washington, employs a dedicated team of 48 IT professionals to develop, support, and administer its five resource management software products: OmniFocus, OmniGraffle, OmniOutliner, OmniPlan, and OmniPresence. 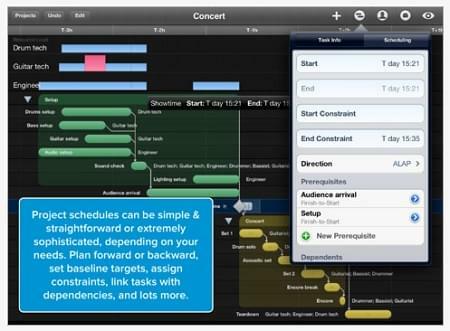 Available for both Mac and iPad, OmniPlan is a resource and project management software solution that allows users to manage tasks and resources, monitor plans, and control costs. OmniPlan’s interface features a customizable Gantt chart view, and provides visual filters that allows users to view or hide dates and tasks at will. Whole-project sharing, change tracking, and instant updates allow users to collaborate easily and efficiently, while smart scheduling automatically helps to make sure resources are allocated correctly without any collaborator being overburdened. OmniPlan also supports printing, AirPrinting, Microsoft Project Import, and a number of export options. OmniPlan is available for a free trial on Mac, and licensing discounts are available for those purchasing a number of user licenses for their company or organization. The Omni Group also offers their products at discounted prices for faculty, staff, and students of educational institutions. 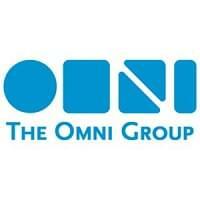 The Omni Group has been the recipient of a Macworld Expo Best of Show award, two Mac Observer Editors’ Choice Awards, three Macworld Editors’ Choice awards, and an iPhone Alley Editors’ Choice award. Not a Mac user? Review more of the top Project Management solutions with our SmartAdvisor. Learn everything you need to know about OmniPlan. Our experts will reach out to you shortly.